Dan Swinhoe (Africa)- Uganda: Africa's Tech Pearl? It was Winston Churchill who christened Uganda as the ‘Pearl of Africa' after marveling at its beauty. But IT News Africa recently repurposed that title for the country's growing IT sector. But is it really a great emerging market? StatCounter statistics show Ugandans favor Windows on desktop, and use Firefox for their web-browsing. But compared to many other countries, the level of mobile access to the internet versus desktop (29.5% vs. 79.5%) is very high with Nokia phones (most favoring the Series 40 OS) the most popular device for those on the go. For social media the figures are low with only 400,000 people on Facebook (less than 1% of the total population and 13% of the online populace), but with an 11% rise in three months this figure may soon rocket up. Research in Africahas conducted in-depth research into broadband and mobility across the continent and found some very interesting results. Around 8% of the population has some means to access the internet, usually around once a week. A lack of computer or internet at home, lack of know-how and cost were all commonly-cited reasons for never having accessed the internet. Less than 5% of people own a desktop, and not surprisingly the study found those who had accessed the internet mainly did so through their mobiles, with internet cafes and educational institutions also popular means. Just over 45% of people own a mobile phone, and of them 15% own an internet-enabled phone, with just under 8% actually using that feature. Emails, internet browsing and social networking were all fairly evenly-cited uses while using the devices, with essentially everyone using an internet phone using them to their fullest. A show of progress however, was the fact 80% of people who had accessed the internet had all gained the ability within the last three years, a testament to the investment from the government and companies. However it is worth noting that according to a report released by the Global System for Mobile Communications (GSMA), 74% of married women who did not want a mobile phone said it was because their husbands would not allow it. 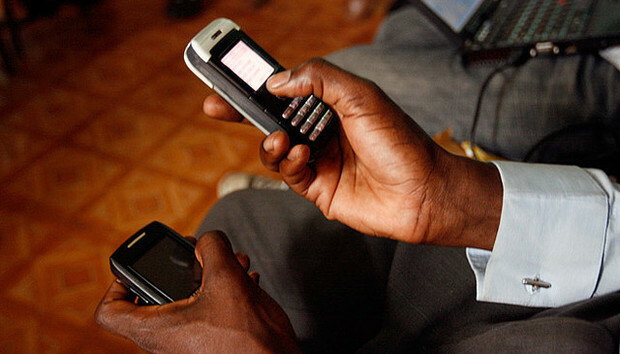 It also found that only 37% had ever sent an SMS, regardless of regardless of education. Clearly this gender inequality needs to be addressed. There are many positives in the news for Ugandan IT. The sector has seen steady growth in recent years, and now makes up around 5% of the nation's economy, and according to the Martin Prosperity Institute of the U.S. Uganda is ranked among the top three countries with advanced technological and innovation capabilities in Africa. The government even managed to collect Sh7 trillion ($2.8 million) in e-tax payments. While that might not be a huge amount, it's a good foundation from which to build on. The government is also making ground on regulation. As well as approving four new IT policies earlier in the year and setting up a national Computer Emergency Response Team (CERT), Uganda is working with the EAC to implement a joint cross-border cyber-crime bill to help prevent the internet being exploited in the region. Despite all the good news, the government has announced a reduction in funds for the ICT industry. Uganda's US$4.8 million ICT sector allocation is the lowest in the past three years, down from $7.1 million last year and $5.7 million the year before that. There have also been calls for the government to properly regulate the nation's telecoms companies after it was revealed they have made millions from shady promotional texts. This follows a decision by the government that forbids companies lowering call rates beyond a designated minimum, inevitably increasing the cost for some users. Not a good move in trying to promote technology to the people. Uganda still has far to go. The signs are good that mobility is and will continue to be a major player in bringing technology to the masses. But making the internet cheap and accessible and educating the population should remain high on the list of priorities of the government, as well as continuing the effort in internet coverage.